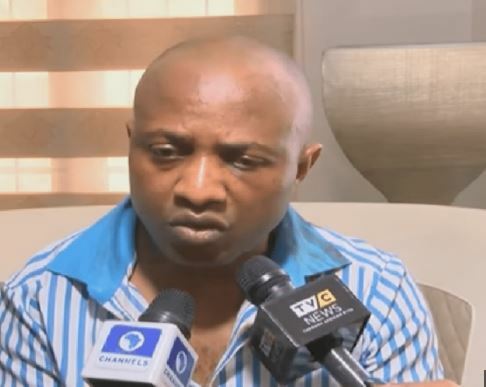 Nigerian billionaire kidnapper Chukwudumeme Onwuamadike popularly known as Evans has raised serious allegations against police officers accusing them of stealing money from his house. 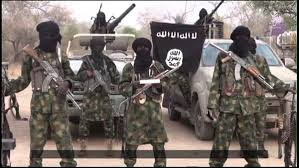 In a petition by Mr. Olukoya Ogungbeje who is the counsel to the kidnapper, it was alleged that officers of the Inspector General of Police’s Intelligence Response Team took cash and valuables from his house. These allegations were contained in the petition sent to the Police Service Commission, National Assembly, the Inspector General of Police, the National Human Rights Commission, and Amnesty International. The lawyer also accused the police of molesting Evans’ girlfriend, Amaka Offor. The petition stated: “Our client has duly briefed us on the above captioned subject matter involving the police officers and policemen attached to the Inspector General of Police Intelligence Response Team. “For the avoidance of doubt, it is our secured brief that in the course of investigating our client while being detained in the custody of the Inspector General of Police Intelligence Response Team (IRT) on the allegation of kidnapping, the following under-listed items were forcefully and corruptly extorted from our client. 1. The sum of N50, 000,000 (Fifty Million Naira) cash. 3. Twenty-five (25) Mack Trucks forcefully taken but not listed as exhibits in the ongoing criminal trial of our client. 4. Brigade wristwatch worth One Hundred and Seventeen (117) Thousand U.S Dollars. “There is no gainsaying the fact that it calls for prompt investigation, inquiry and appropriate sanctions. We are using this medium as our own way of galvanizing institutional sanity, cleansing and reform in the Nigeria Police Force as an institution. “As we speak, the brother in law and other relations of our client are still being detained and tortured by the Inspector General of Police Intelligence Response Team. Meanwhile, Justice Abdulazeez Anka of the Federal High Court, Lagos on Wednesday, October 11, declined to hear a fundamental rights suit filed by Evans. 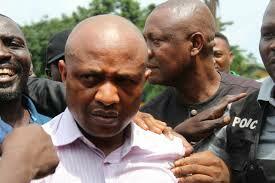 Evans is seeking N300 million damages for his illegal detention. Evans the kidnapper lands in Kirikiri prison after first appearance in court.